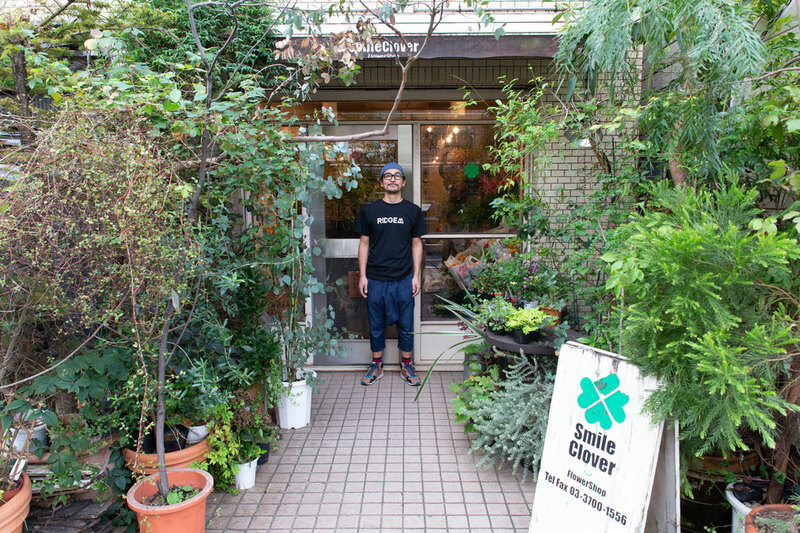 "I was influenced by my father and grandmother to love flowers. There were various trees and blooming flowers in my home garden. 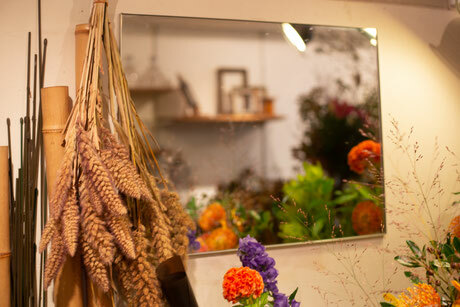 When I get my job in flower shop, I know almost all the name of flowers." 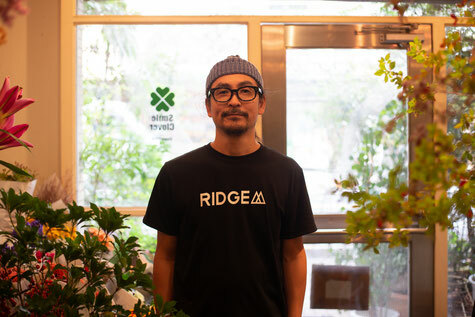 His store is located near Yoga station of Tokyu Denentoshi line. 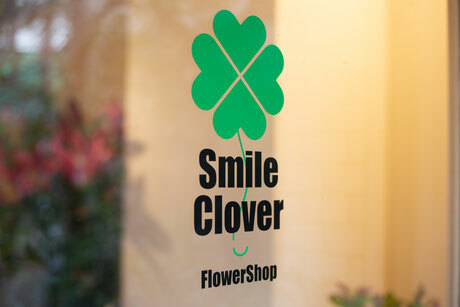 Four-leaf clover logo is the sign. 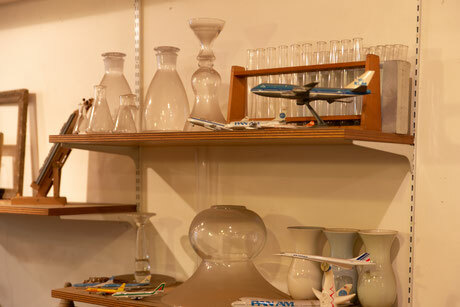 His favorite Bombardier airplans line up on the store shelves. 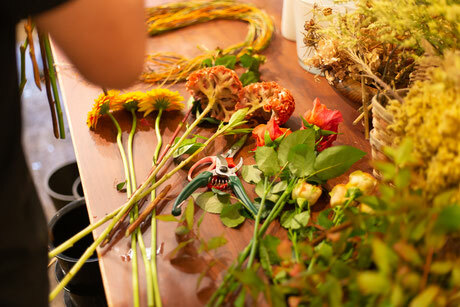 "When I make a bouquet, I make sure how it looks from the one who will be given it by checking it in the mirror." 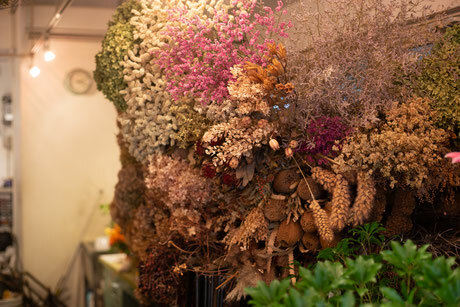 There were plenty of large dry flowers in the store this day. 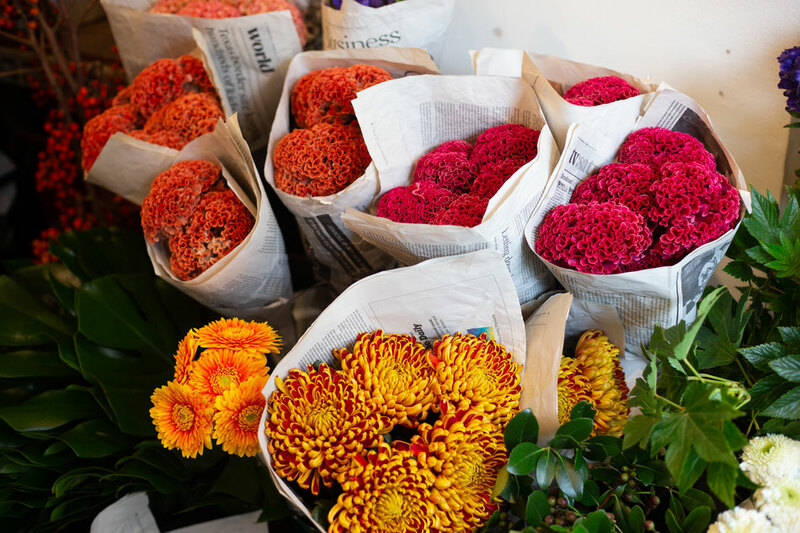 "I purchase flowers from intermediate wholesalers even though it cost me a bit higher than the market. I feel more comfortable because I can check the quality one by one." 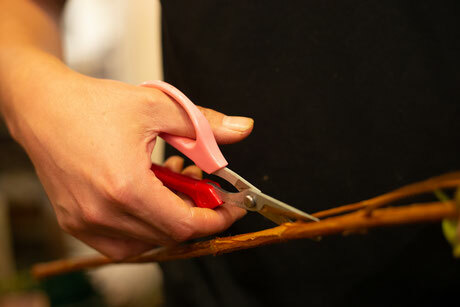 He has been using Ars Corporation's scissors for long time. 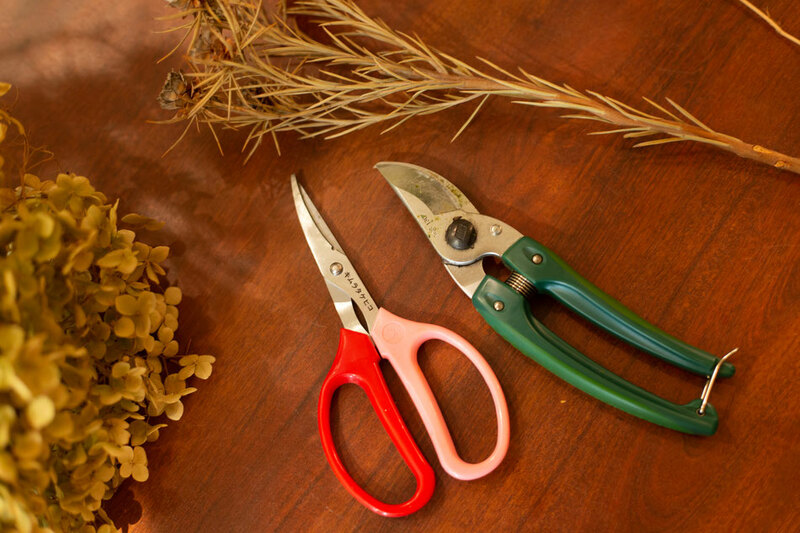 He selected courved blades Flower-arrange-type which come with a wire cut function. 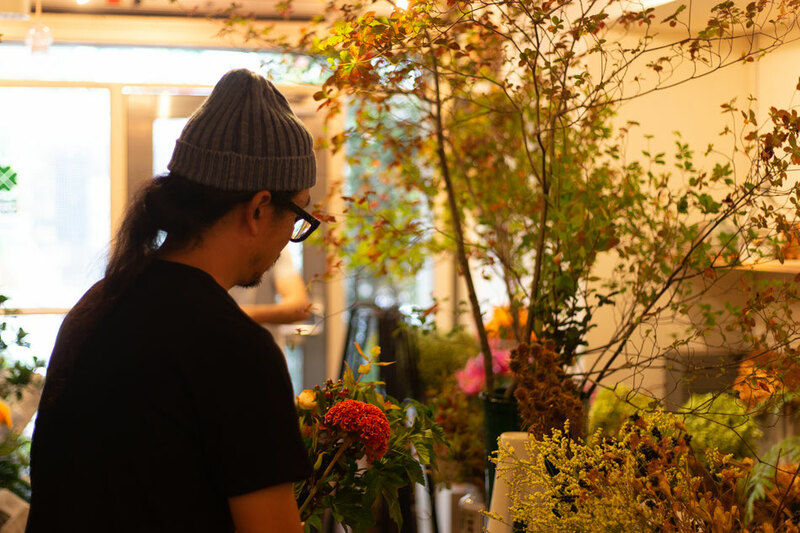 He has never taken a lesson of flower arrangement. 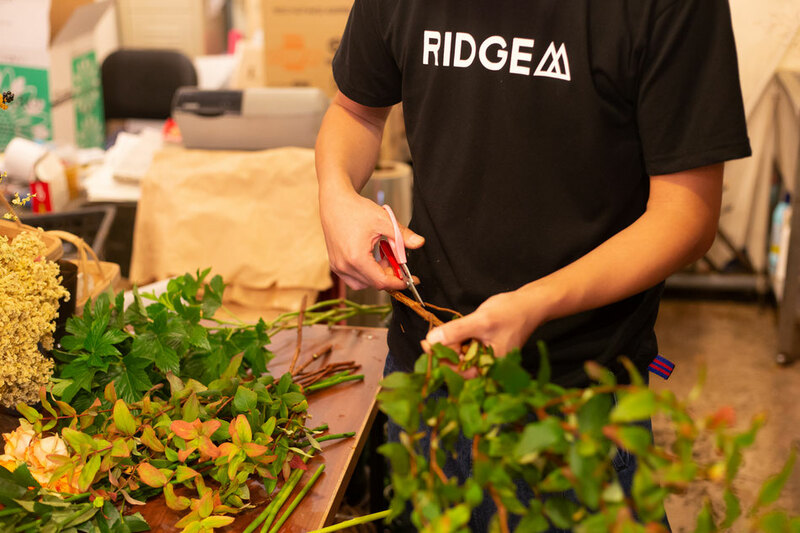 He learned all skills by watching his manager when he works in flower shop. "I learned all my techniques by watching his move". 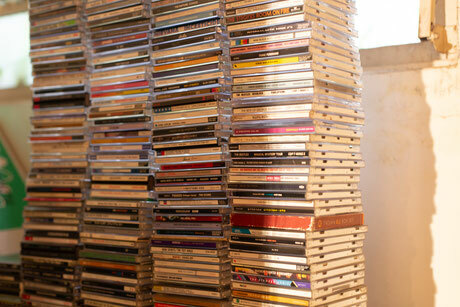 He brought a lot of CDs and listing the music during the work. 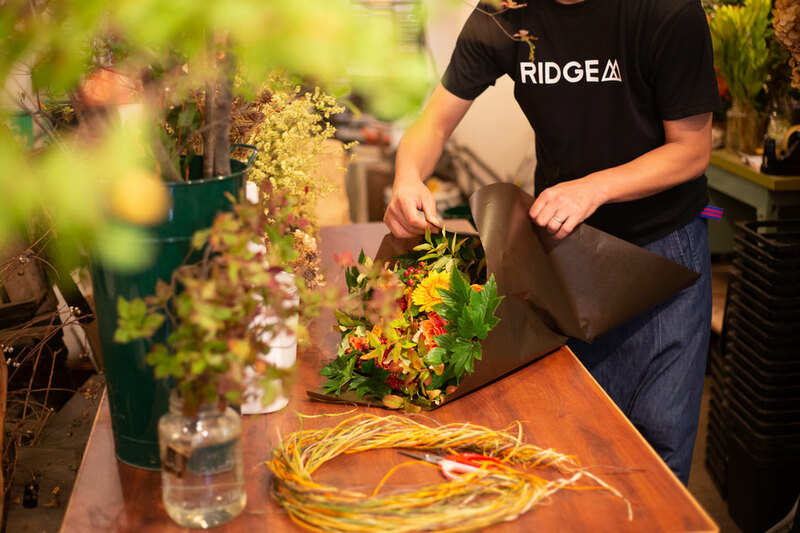 He goes out and works for in-office and in-shop flower arrangement other than his shop. 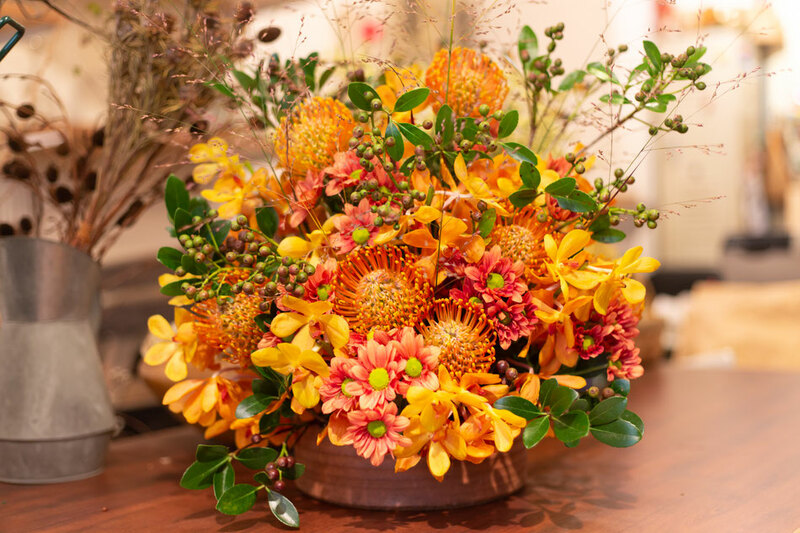 “I select seasonal flowers which last longer for store and office decoration. I don't like too much seasonal event kind of design and I wish I could create a landscape with flowers blending naturally in the usual life."